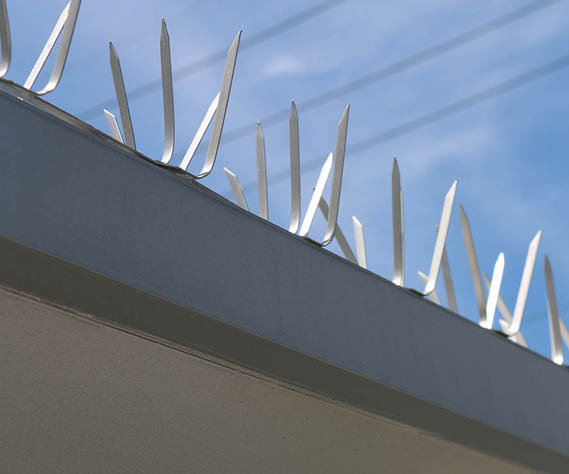 The Strongest Stainless Steel Bird Spikes on the Market with Lifetime Warranty. 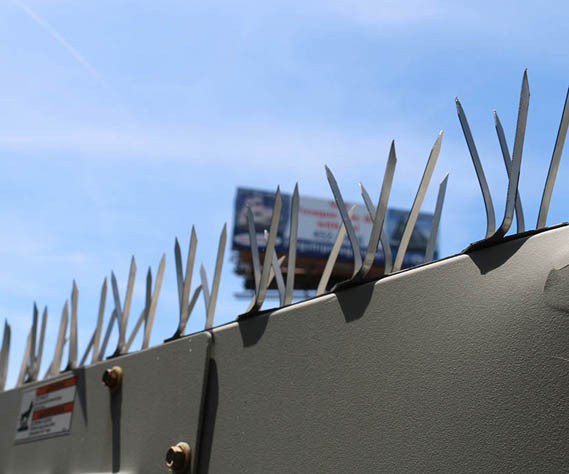 Bird Guard stainless steel bird spike strips are a simple to install humane bird control device. They offer a cost effective, durable, and low maintenance solution to nuisance bird and pigeon roosting problems. 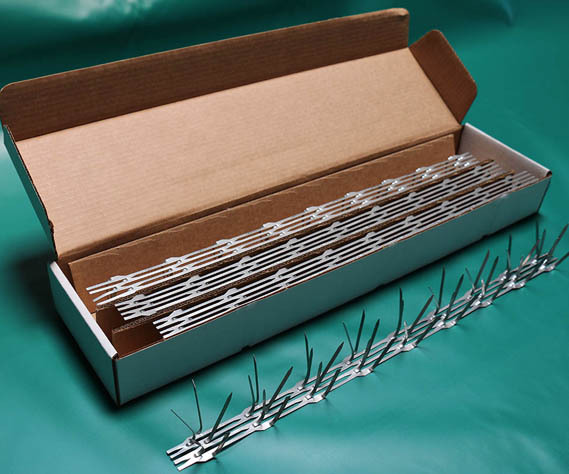 Our proprietary bird control spike strips are manufactured using heavy duty 20 gauge stainless steel and are installed quickly in areas where birds roost frequently. 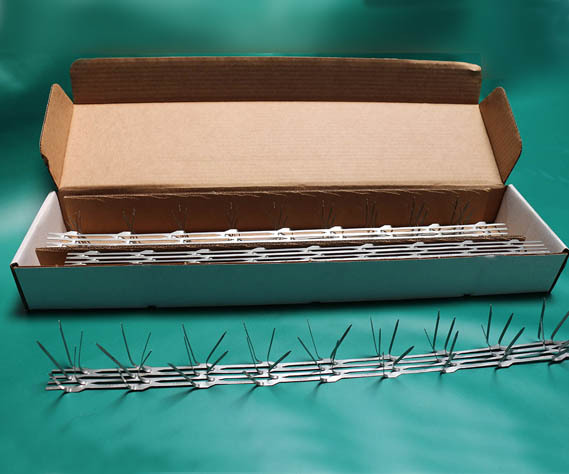 Bird Guard's sharp tipped spikes are 2.75" long when fully extended after application to effectively deter and repel birds from roosting. Bird Guard is available in five foot increments. 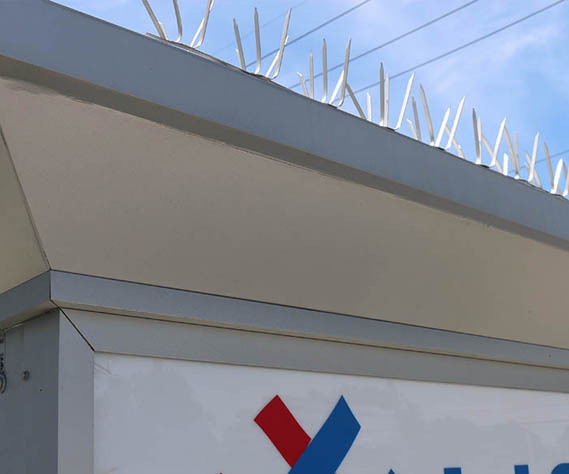 Our stainless steel bird spike strips are maintenance free and never need to be reapplied, unlike liquid and gel bird repellents, and plastic bird spikes. Bird Guard can be left installed year after year, all year round, and continue to be just as effective as the day the were applied. Designed to blend in with architecture with a low profile, approved by humane and bird societies as a harmless tool, and proven effective world wide in thousands of installations. 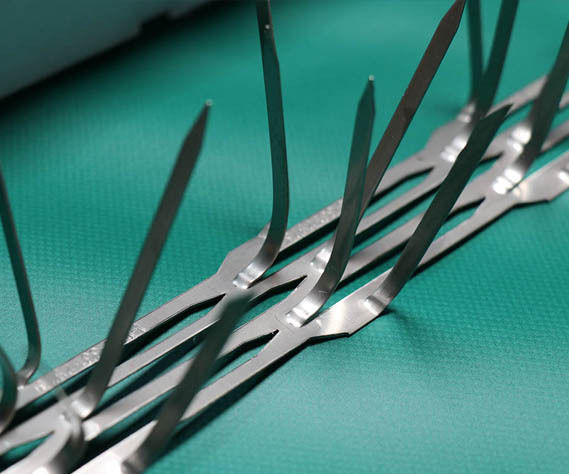 These cost, health, safety, and efficiency factors make Bird Guard stainless steel bird spike strips an attractive option for bird control to your wallet, ethical and humane concerns, and peace of mind.